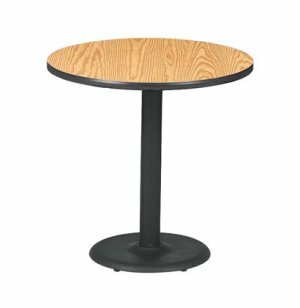 Round Cafe Table with Round Base 30" dia. Three diners can pull up a chair and socialize comfortably around this café style table. 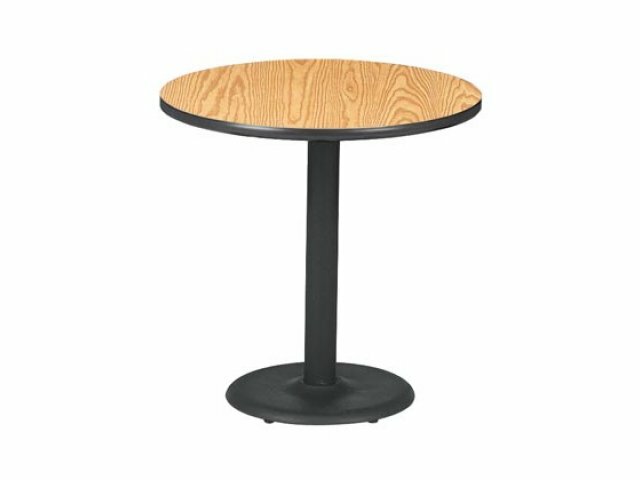 With a powder-coated black frame and 30" diameter tabletop, the round table is attractive, durable and space-efficient. It is an attractive, practical dining solution for your school, office or institution. Suitable to arrange in a lunchroom, student café or staff lounge, these cafeteria tables are supported upon heavy-duty cast iron bases that provide a stable, steady surface.